Park Street isn't looking to invade your life, sign you up for a lot of volunteer hours, and get nosy with your sin. But the truth is we really do need each other. God wired us to walk this road with others for support, wisdom, and acceptance. We can often see our lives more clearly when we see it reflected in the friendship of another person. We'd love to connect with you and help guide you into the life and ministry of Park Street. 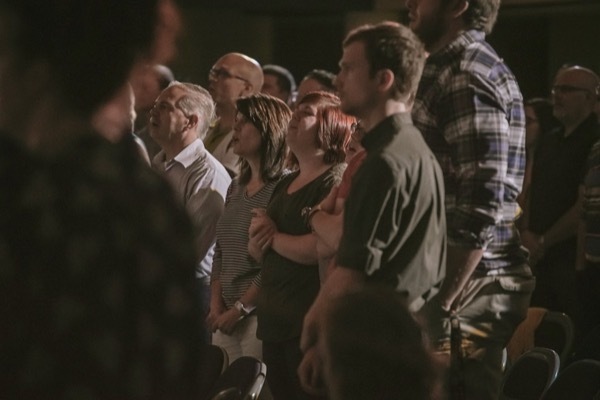 Perhaps you have questions about what to expect when you arrive or you've been attending worship for awhile but are looking to get connected in a discipleship journey. Whatever your question, we know that finding the right person on Sunday morning can be challenging or finding a time to call the church office can also be difficult. Leave us a note and we'd be happy to pass it along to the staff member, leadership board, preschool, or another group in our church to help answer your question and help guide your next steps.